Get Your Maid Service Pricing Now! Choose all of the house cleaning services that our Maids offer. Once you book your Maids then our cleaning teams will take it from there and confirm your appointment. You will get a text and email confirming everything before your Maid Service appointment. Now you can relax and leave all the cleaning to us! Your Maids get to work! Today is the day for your house to be cleaned by the professional Maids at Magnolia Cleaning Service. Let the Team Lead on site know if your home needs any extra TLC or extra attention anywhere. Once the walkthrough of your home is complete your Maids will get to work. At Magnolia Cleaning Service we specialize in professional Maid Services for busy families in Orlando, Tampa & Sarasota. You just joined the list of happy families so enjoy your clean home and relax knowing that your Maids will take care of everything from here. Magnolia Cleaning Service is the best Maid Service in Orlando, Tampa & Sarasota! 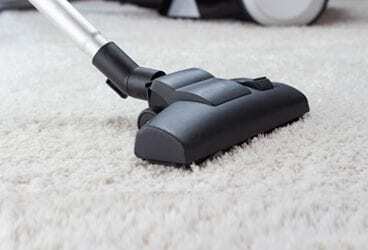 Magnolia Cleaning Service is the best Maid Service in Orlando, Tampa & Sarasota for a couple reasons. First, our customers love us! If you are frustrated with your Maid Service or Cleaning Company then gone are those days. Our Maids provide consistent high quality cleanings for our customers homes and because of this they keep referring us to their friends. Considering new Maid Service and live in Orlando, Tampa or Sarasota, give us a call and we can provide as many references as you like so you can have peace of mind on your new Maid Service. Second, Magnolia Cleaning Service maids are fully covered by our liability & workers compensation and bonds. This is a big deal and one that the best Maid Services in Orlando, Tampa & Sarasota will not cut corners on. Know too that all of our Maids have been cleared with a full Criminal Background Check so you can have peace of mind with the maids that are cleaning your home are professional and provide a trusting and safe environment. And Lastly Magnolia Cleaning Service has a 100% Money Back Satisfaction Guarantee. Each one of our Maids and cleaning teams are trained to have an eye for detail. Our Maid Teams complete a detailed Deep Cleaning and Standard Cleaning checklist on your home each and every time. If you are not happy with our work then let us know, allow us to fix any concerns and if you are still not happy then we will refund you in full no questions asked. Our 100% Money Back Satisfaction Guarantee provides you no risk and we know you will love your new Maids from Magnolia Cleaning Service. Use code NewCustomer to get $40 off your first cleaning with Magnolia Cleaning Service! Have more questions on our Maid Service? Here are some helpful Videos and Cleaning Service guides. 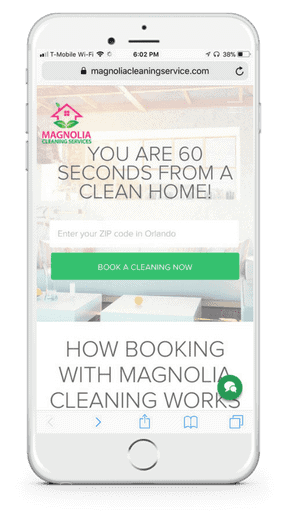 Book your maid service in Orlando, Tampa & Sarasota in less than 1 minute and online!